Beautiful cursed princess is saved by her true love. Doomed princess and family not smart enough to avoid sewing machines. Parents abandon daughter in a failed attempt to keep her safe. Heroine sleeps, waits for man to save her. This one’s definitely not as bad as the others on this list, but it’s still got its share of negative messages. First, there’s a disturbing trend of parents not being able to protect their children. At least Aurora’s home life was decent, unlike the various evil stepmother stories out there. Unfortunately, she was torn from this home life into a sort of fairy witness-protection program away in the woods after an evil fairy cursed her. I guess her parents thought she’d be safer there than with castle security. But surprise surprise, the bad fairy turned out to have GPS and tracked her down. Like a wet paint sign… just gotta touch it. The terms of the curse were that, before her 16th birthday, Aurora would prick her finger on a spindle of a spinning wheel and die. Later, the good fairies changed the terms so instead of death, she’d fall into a deep sleep only to be awoken by true love’s kiss. There are several preparation fails going on. 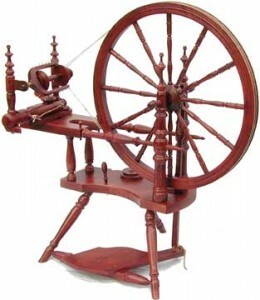 First, you’d think it’d be an easy curse to avoid, just stay away from spinning wheels! However, Aurora finds that too hard. The second thing that bugs me? Since birth, she’s been betrothed to Prince Phillip; only she never actually meets him, until she’s hidden away in the woods and living under a false name. You’d think her parents would like to set up a couple of dates to let their daughter meet her future husband. Especially after they learn that the daughter’s true love will save her — you’d think that, with this knowledge, they’d realize it would be a good idea to actually introduce her to her future true love. Of course there’s also the trend of falling in love with someone within an hour and then needing that someone to save them. But that’s pretty normal for any fairytale. 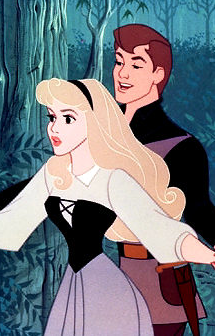 Basically, Sleeping Beauty isn’t overtly horrible, but it’s probably not best that girls look up to someone who, along with her parents, has the intelligence and foresight of the hot blonde in a bad horror movie. Beautiful girl escapes unfair past. Magical adventures ensue, she marries a prince and lives happily ever after. Abused and neglected daughter finds escape only in marriage. First, let’s take a look at the family situation. Motherless girl is thrust into horrible circumstances by naive father. Naive father dies. Orphaned from her biological parents, Cinderella’s left to abuse and degradation by her step-family. So far, we haven’t even touched on any plot elements and there’s already all sorts of things wrong. That a girl should be left in this situation in the first place is horrible enough — but the only help is a magical fairy who has limited influence on the manipulators. Thus far, it seems like the beginning of a supernatural episode of America’s Most Wanted. After the family forbids her to leave the house for the ball, she resorts to lies and deceit to escape. Instead of advising Cinderella to run fast and don’t look back, her fairy godmother gives her a vehicle that will break down in the dead of the night. Luckily the ball is being thrown by the king who is pressuring his son into marriage, even though the prince would rather remain single. Captivated by her beauty, the prince immediately falls head-over-heels with Cinderella. Now, along with the picture of horrid abuse, we also see an unhealthy portrayal of love: Marriage is neccesary for happiness, one dance is enough to decide on a life partner. Cinderella flees at midnight, knowing her only ride home will soon turn into a vegetable. In her panic, she loses a shoe. She somehow never got around to telling the Prince that she’s a victim of abuse and needs help. She also failed to mention any contact information. So the prince’s dad systematically searches every single house looking for his son’s vanished speed-date. Let me break that down further when taken out of context: Girl leaves date in a rush. Father stalks girl. Well eventually, the Duke does find Cinderella’s house, though Cinderella’s still being kept hostage up in her bedroom. Cinderella escapes her bedroom with the help of some vermin, but nobody recognizes her now that she’s wearing different clothes. They know she’s “the one” only when she presents the appropriate footwear. She’s then finally free to leave her abusive family to marry someone she fell in love with after one date who has a controlling father. They live happily ever after. Aquatic princess yearns for a life on land with her true love. Evil witch gives her both legs and a curse, which is broken by true love’s kiss. They live happily ever after. Hoarding redhead ignores advice of family, friends. Easily manipulated, she seeks advice from a known con-woman. Ariel is a girl trapped in a deluded fantasy world. She spends her time daydreaming about life above, with no real knowledge about it except for hearsay and misinterpreted artifacts. One night, she sneaks out and falls in love with a human prince whom she saved from drowning. All he knows about her is that she has a nifty singing voice, but that’s enough for him. Once her father learns about this, we find out that he has an anger problem. He proceeds to destroy some of his daughter’s most treasured possessions because he doesn’t agree with her taste in boys. Receiving no help or sympathy from her father, she turns to Ursula, who is truly the scariest animated character Disney’s thought up. 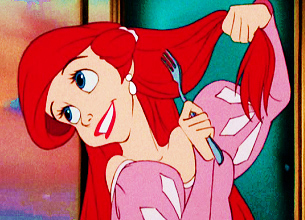 But Ariel, silly girl, willingly went to her for some dating advice. In exchange for her voice, Ariel is granted three days as a human girl — if she got true love’s kiss, she’d have her legs permanently. Of course, since the only thing her “true love” knows about her is that she has a pretty voice, being mute is a real drawback. Then follows a seriously intense and violent action sequence. 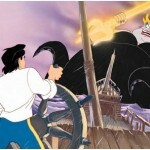 Ursula tricks the prince into marrying her, though their wedding is interrupted by the good guys. In all the excitement, the shell that Ursula keeps Ariel’s voice in is broken and the act is up. However, the witch’s a sore loser and instead of accepting defeat, kidnaps Ariel. Her father takes her place as hostage and is turned into a squishy polyp. Ariel watches in horror these consequences of her actions. But the worst is yet to come. The reason The Little Mermaid belongs on this list isn’t so much because of what the bad guys do to the good guys, but what the good guys do to the bad guy. After seeing the witch blow herself up to monstrous proportions, the prince Ariel’s so in love with runs his ship through Ursula’s stomach. Read that again. In movie loved by 5-year-old girls, someone gets eviscerated by a ship. Sweet dreams, kids! Beautiful girl looks past physical characteristics and sees inner beauty. Not everyone’s as they seem, the beast is actually a handsome prince, and they live happily ever after. "You're a horrible monster, but I love your taste in books!" Kidnapping and Stockholme Syndrome, plus a father who can’t protect his daughter. It’s really not hard to see unsettling plot elements in this Disney classic. Disney didn’t bother to gloss over the fact that Belle was originally held against her will and against her father’s wishes. And it wasn’t just that she was held in the house against her will, the Beast also demanded she eat her meals with him and forbade her to have food otherwise. After she sees how neat his house and library are, though, she decides she loves him. 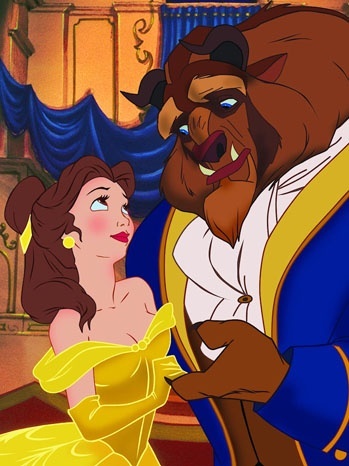 Later, in the Beast’s magic mirror, Belle sees that her father is dying. The Beast reluctantly lets Belle go to him. This is the first father-daughter contact she’s had, her father’s extremely depressed in her absence, and the Beast is sad because she’s going away. Nice guy, real selfless and understanding. While back home, Belle is again held hostage, this time by the village stalker who’s always been after her. He locks her and her father away, threatening to keep them imprisoned until Belle agrees to his marriage proposal. For some reason, this kidnapping is wrong, as opposed to the Beast’s doing the same exact thing. So she escapes and goes to live happily ever after with her original kidnapper. Beautiful princess escapes evil queen, encounters funny men. Jealous queen’s curse is broken by handsome prince. They live happily ever after. Princess flees psychotic and murderous stepmother. Shacks up with seven strange men who feel like appropriate funeral ceremonies involve human taxidermy. Again with the evil stepmother. You know, I wonder what real, nice, cookie-baking stepmothers think about these stories. At least with Cinderella, the classic warning against second marriages, the step-family doesn’t want her dead. 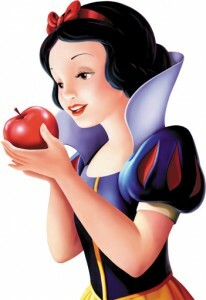 Compared to Snow White’s step-parent, a little abuse and neglect is completely forgivable. For Snow, a family member literally hires a hit man to hunt her down and kill her. She runs, finds a cottage in the woods, breaks in, and…. cleans it? Seriously, this chick’s on the lam, and has just broken into someone else’s house. 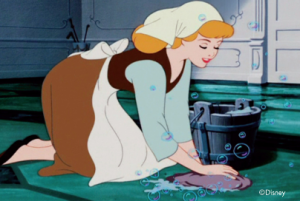 Instead of trying to hide her presence or responding in any sort of emotionally appropriate way, she cleans. Eventually the rightful owners come home. These men, who have an array of emotional (Grumpy), physical (Sneezy, Sleepy), and mental (Dopey) problems, decide to keep this beautiful new maid who randomly appeared in their house. The jealous Queen, discovering her daughter’s whereabouts, decides that since her hired hit man failed, she’d have to take matters into her own hands and murder the girl herself. Here’s where it gets really weird. Before seeing it again recently, I’d assumed that the rest of it followed a Sleeping Beauty plot — girl is cursed to eternal sleep, only to be saved by, what else, true love’s kiss. Re-watching it with the girls I babysit, I realize that death isn’t good enough for the Queen — she wants Snow White to be buried alive. She doesn’t want the Dwarfs to see her as perpetually sleeping (as I’d originally thought), she wants them to see her as dead. And she expected the dwarfs to act as any normal person would and dispose of the dead somehow. However, she luckily underestimated the dwarf’s rationality and abilitiy to grieve in a healthy manner. They kept her in a glass coffin, preserved forever for all to see. Then this random prince, who we hadn’t really heard much about, opens her coffin and kisses her. Because, you know, a random prince is much more likely to be her true love than one of the men she’s been living with and getting to know. The spell is broken, she is resurrected again, and instead of screaming, “AIGH! ZOMBIE!,” everyone lives happily ever after. "An apple? Oh, no, I eat brains now." Watching these beloved princesses again now that I’m older has made me realize what a twisted, immoral world kids are being shown. And we worry about them watching violence on the news and playing graphic video games! 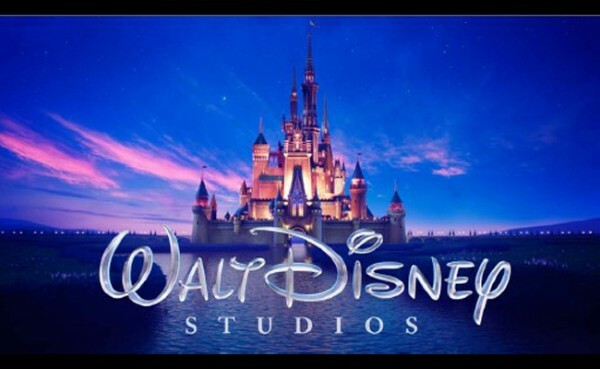 Clearly, the problem lurks elsewhere — in the brightly colored, musical world of Disney. Luckily, as anyone who’s read my Twilight article (3 Reasons Twilight Isn’t As Bad As Everyone Says, No Really) knows, I don’t think that a movie or two will turn kids into serial killers. So you can at least have that reassuring thought to help you sleep after a carnage-filled family movie night. This had me laughing out loud. I love the way you word yourself, great article. You should check out the original Sleeping Beauty–by far the most twisted of the originals, treading into Law & Order:SVU territory.